Win Space 1999 SE DVD boxsets! 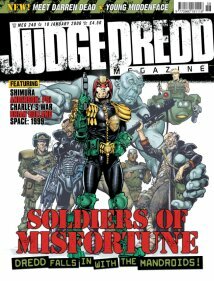 Part 2 titled "In the Frame"
Text article on the history of the Judge Dredd Megazine. First part double length.